Seen astride an Emil of the Stab I./JG 51, Kommandeur Hptm. 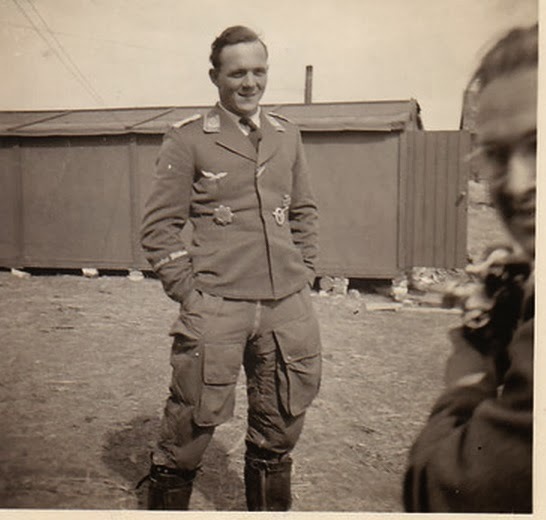 Hermann-Friedrich Joppien in the autumn of 1940 in St. Inglevert-Piehen. Joppien had been awarded the RK on 14 June 1940 and the EL (Eichenlaub- Oak Leaves) on 23 April 1941. KIA on 25 August 1941 with some 70 victory claims, crashing in flames 20 km south-west of Brijansk after downing a MiG-3. 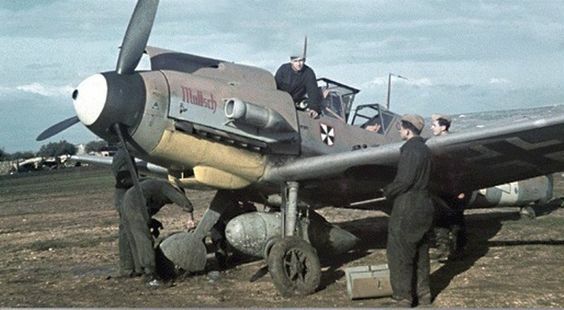 Kommandeur I./JG 51 Hptm. 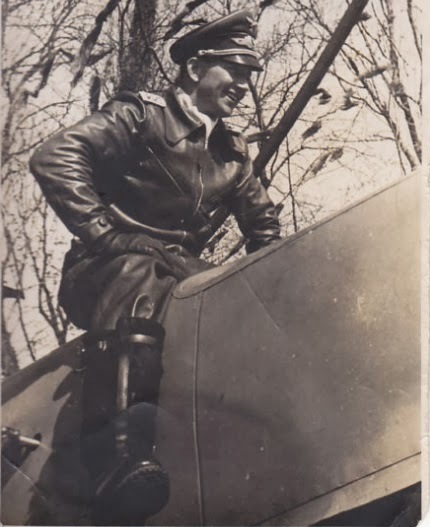 Wilhelm Hachfeld awarded the German Cross in Gold on 10 November 1941 and the Knights Cross on 29 October 1942, eleven victory claims, died in a collision at Bizerta on 2 December 1942 when his bomb-laden ZG 2 Fw 190 was hit by a aircraft coming in to land and over-turned. "Bomben-Willi" died in the resulting explosion..